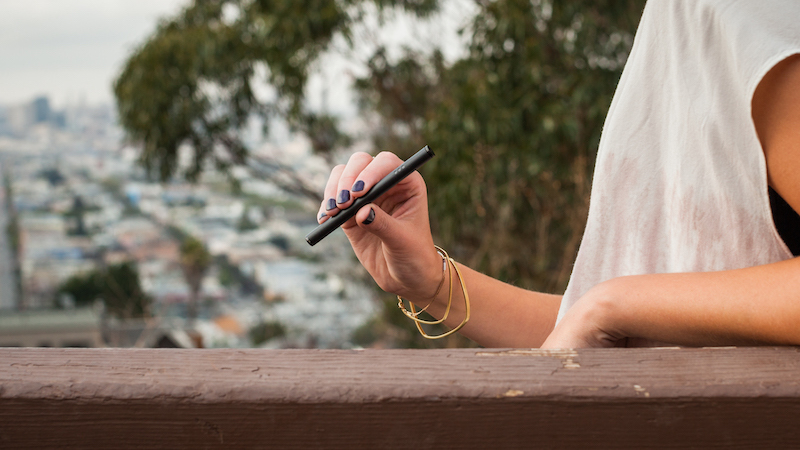 Learn how to choose and get the most out of your new vaporizer. 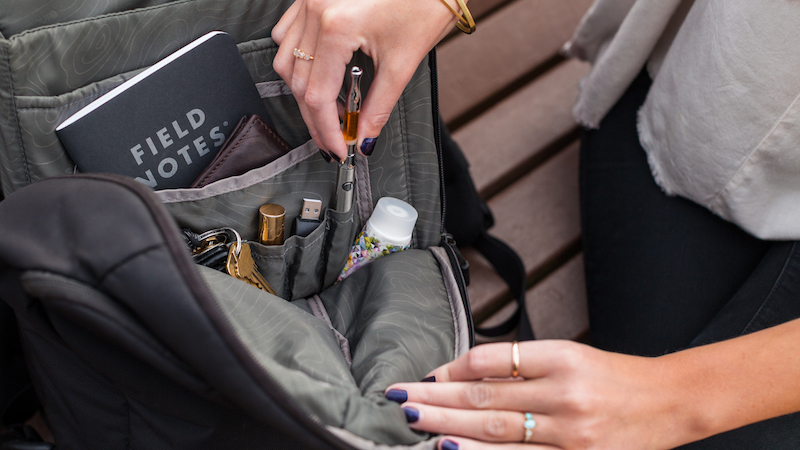 Vape pens sound too good to be true: they're so discreet that you can bring one to Sunday brunch (sharing optional), they're so odorless that you can take an afternoon coffee-and-vape break in the middle of the work day, and they're so portable that you could stick one in your pocket, clutch, or gym duffle for later. 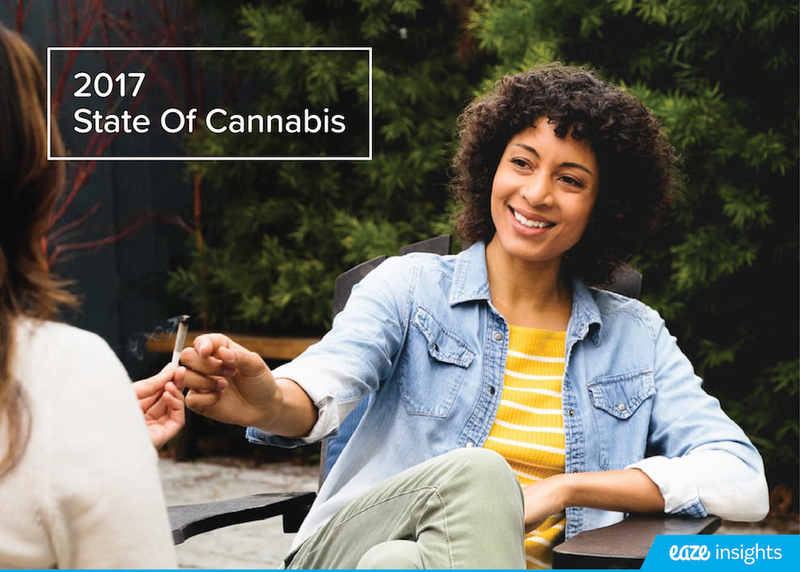 In a 32-question survey we conducted with over 10,000 cannabis consumers just like you, we found that over 50% of people consume cannabis daily, and about 60% of them are using vape pens. We also found that vaporizers are quickly becoming a favorite of consumers, even begining to rival flower sales. But we don't need to convince you to use your new weed vaporizer-we're here to show you how to get the most out of it. Vaping isn't rocket science. (Thank goodness.) Here at eaze, we offer two different types of vape pens, both of which give you a high-quality, satisfying, and smooth experience. The one that you choose depends on your lifestyle and experience level-whether you want a foolproof option or a customizable option. There's no button required: just inhale and enjoy. Yeah right, you may ask, what's the catch? Really, we mean it, it's a no-brainer to use, and it's perfect for beginners who want to start medicating right out of the box. It heats oil at one temperature only, which means some thicker oils may not provide the desired vapor cloud. But it does the trick, and even if you upgrade later to a vape pen with more settings, this is a great backup or emergency option. Click, click, click. It does it all, and it's easier to figure out than your smartphone. Once you've figured what you like-and yeah, we also care about what you don't like-you can upgrade to this push button vaporizer, activated by the number of clicks. Amp the color-coded voltage up to 6V (blue), depending on the consistency of the oil in your cartridge. There's no better go-to for testing out new oils. These chic one-time use vaporizers come without assembly or charging required, so the only decision you have to make is whether you're in the mood for sativa, indica, or hybrid strains. Just puff until the vaporizer runs out of oil (about ~120 puffs), and recycle away. No commitment necessary. Connect the battery to the USB charger. Screw the mouthpiece and battery onto your cartridge. Step 3: OK We Get It-The Step You've Been Waiting For!!! Has it been 10 minutes and you still don't feel anything? Take a second drag and repeat the process. Click x 5: Turn it on by pressing the button five times. Click x 3: Adjust the temperature, depending on the density of your oil, by pressing the button three times each to shift colors. 0V (the lowest) is red, 3V is green, and 6V (the highest) is blue. Click x 2: Preheat the oil by pressing the button twice. Don't go anywhere-it will be ready in 10 seconds. Put the mouthpiece to your lips and draw in a deep breath for up to four seconds. Click x 5: Done? (For now, of course.) Turn it off by pressing the button five times. Unscrew the oil cartridge from the battery and mouthpiece, and put the rubber plug back on. Check for any leaks or spills. To clean, dab a q-tip with rubbing alcohol and gently rub over area. Wait until dry. Gently place in vape case for next time. If your pen starts to feel too hot, turn it off and let it cool down for a few minutes to avoid further oil burning. Not vaping for a while? Place the rubber plug back on the bottom and store the cartridge upright in a cool, dark place. Unfortunately, you can't vape underwater yet. Keep your vaporizer dry and away from rain and water. 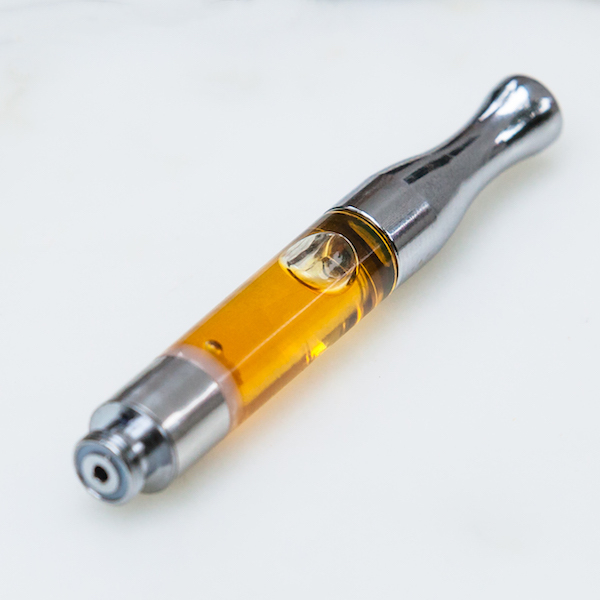 For the best quality and flavor from your oil cartridges, use them up within two weeks of opening. 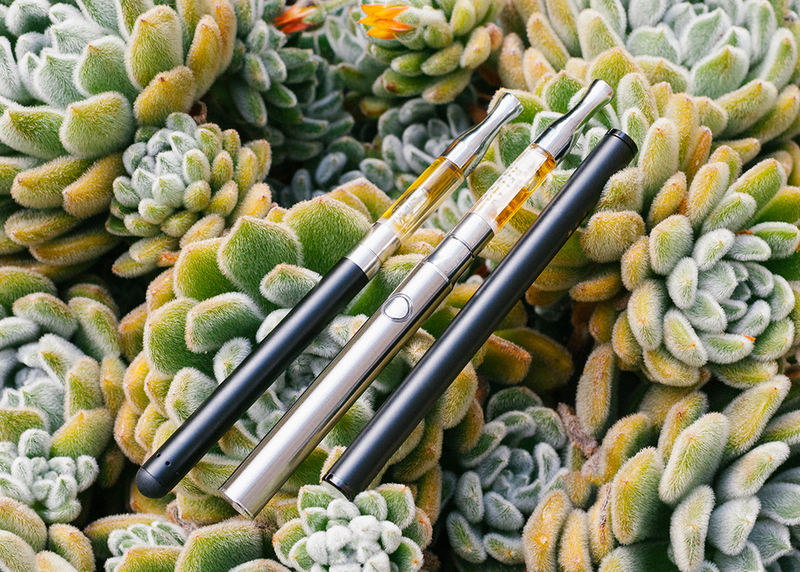 Always remember, the pen is mightier than the herb: oil cartridges typically have a higher concentration of THC than flower. Start slow and low if you're trying a new oil. So what's IN the cartridge? Cannabis oil is an extract made by mixing cannabis flowers with a solvent. 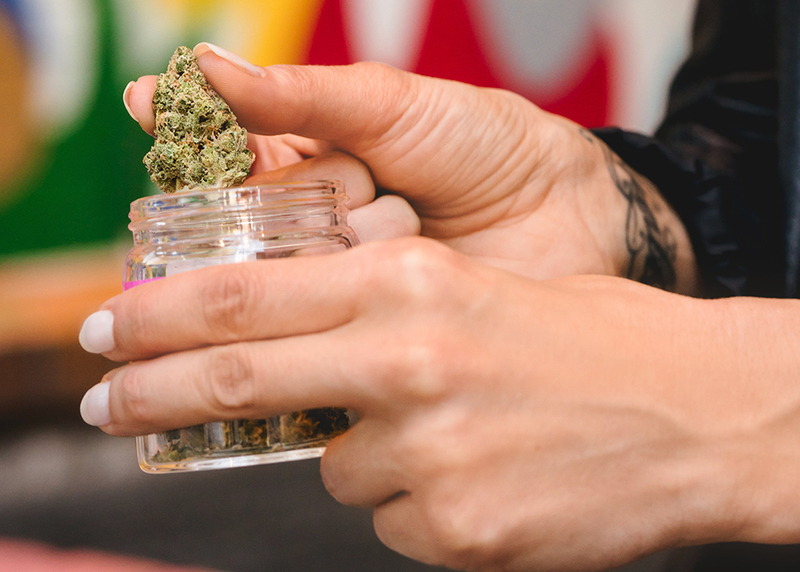 After the flower has been mixed with a solvent, the extraction process removes the plant matter and leaves behind a sticky, oily substance that contains a high concentration of active compounds (like THC and CBD). Cannabis oil is highly concentrated and oftentimes has a much higher THC percentage than raw flowers.